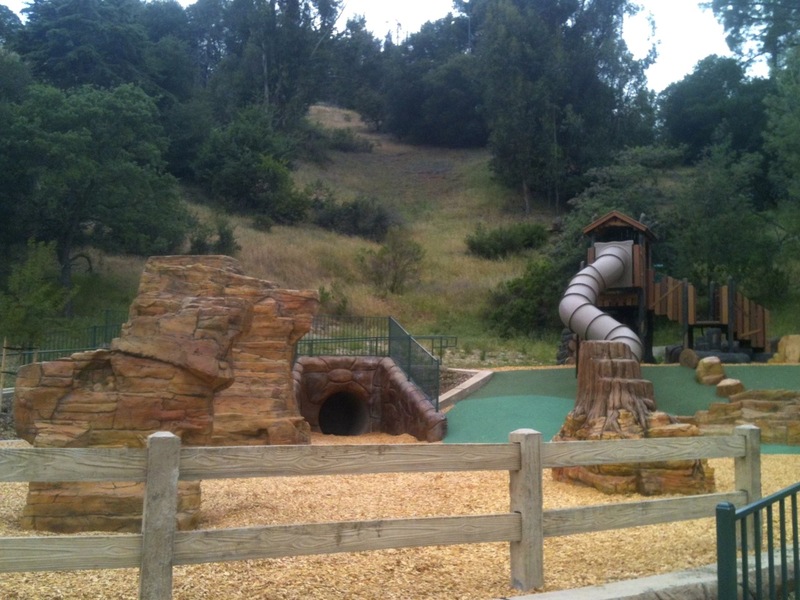 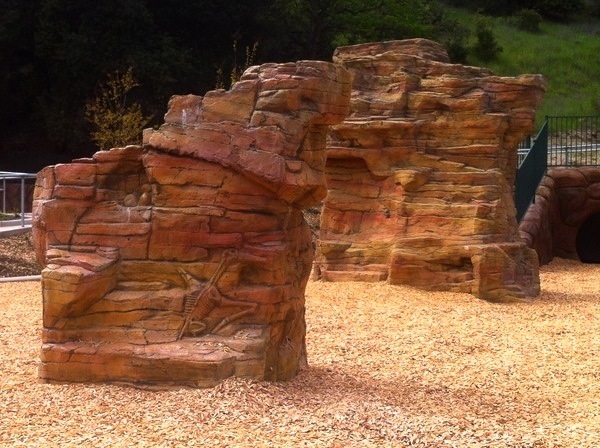 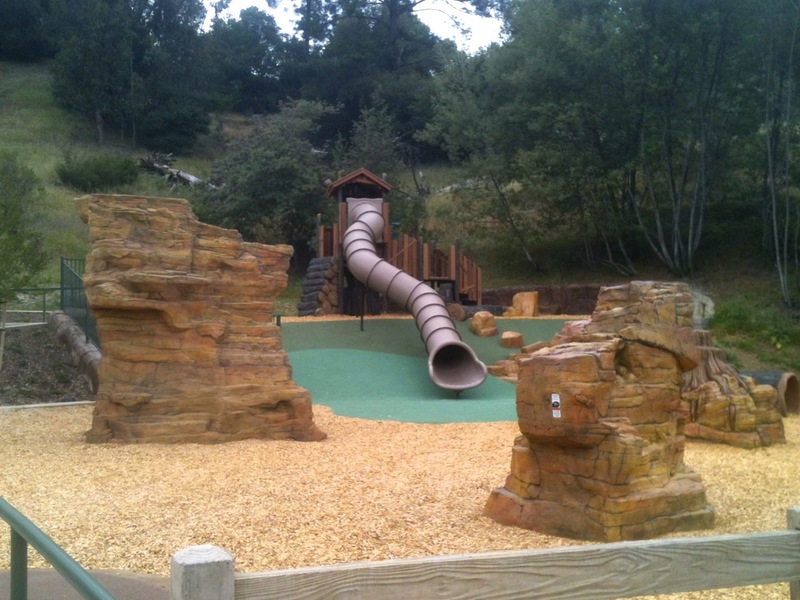 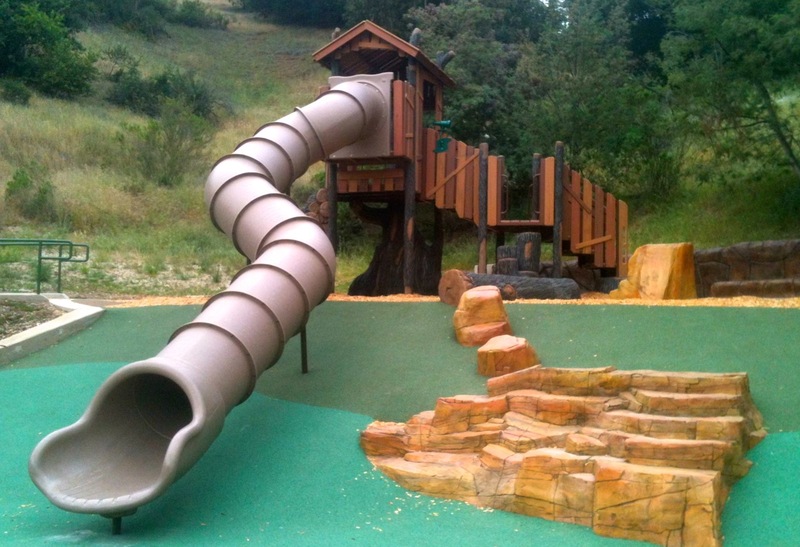 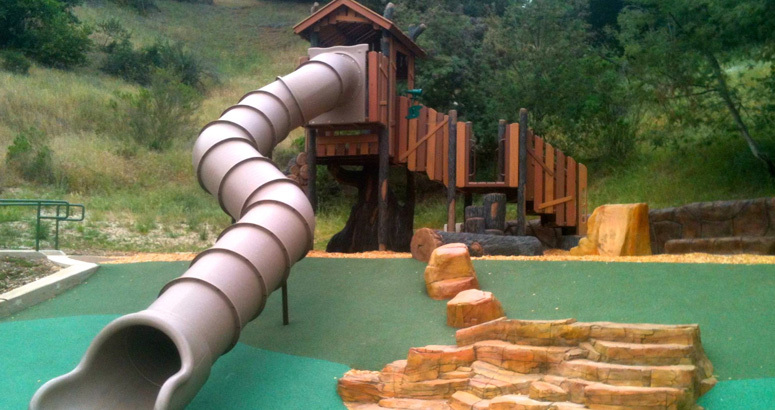 This beautiful Hillside park features a nature themed play environment that compliments the existing elevation and natural landscape. 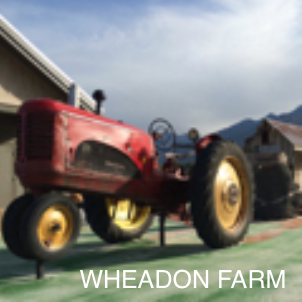 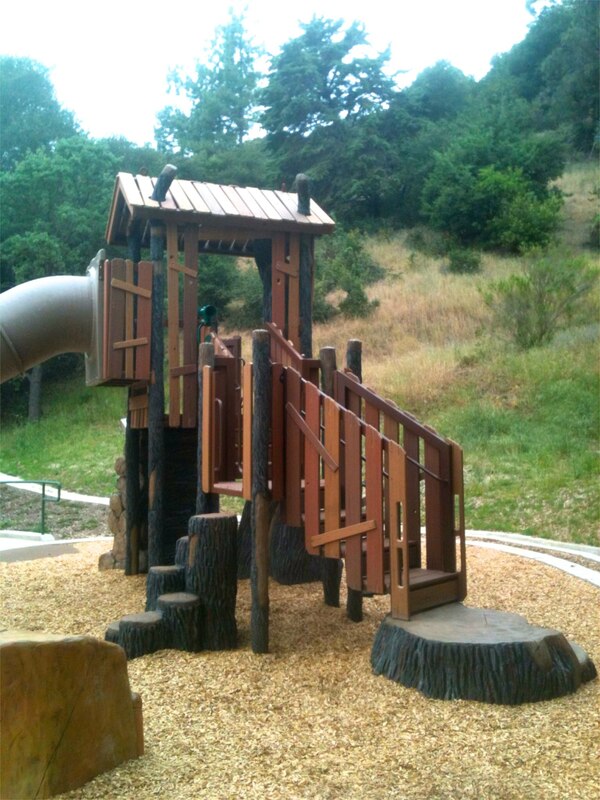 Elements include a treehouse, rock climbers, and log and stone steppers that blend perfectly with the terrain as though they were always there as opposed to an add on. 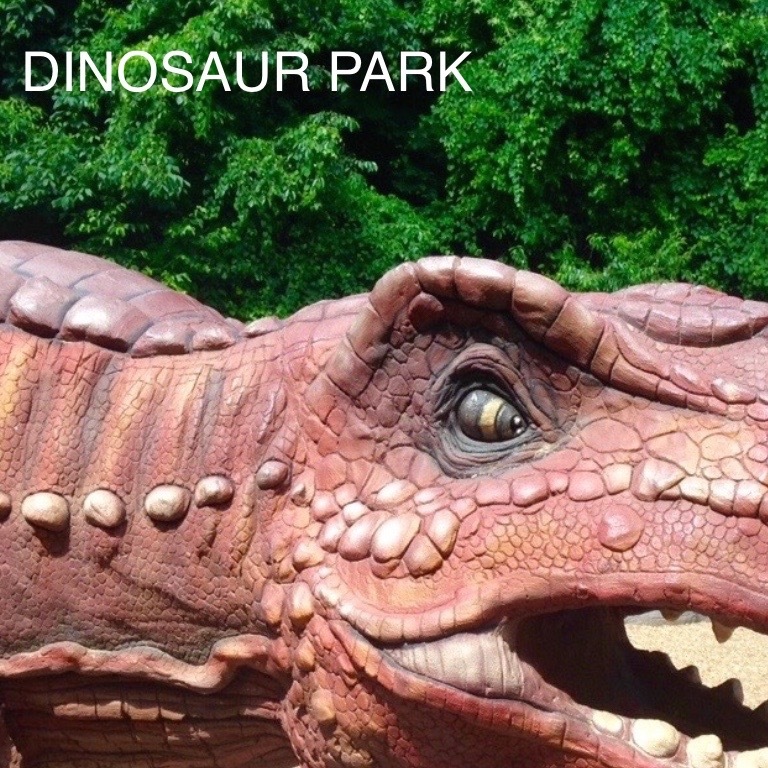 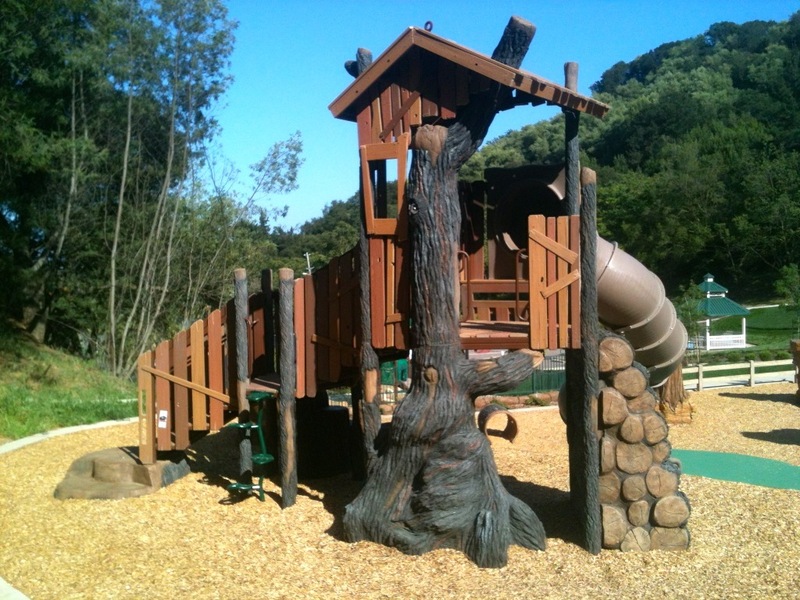 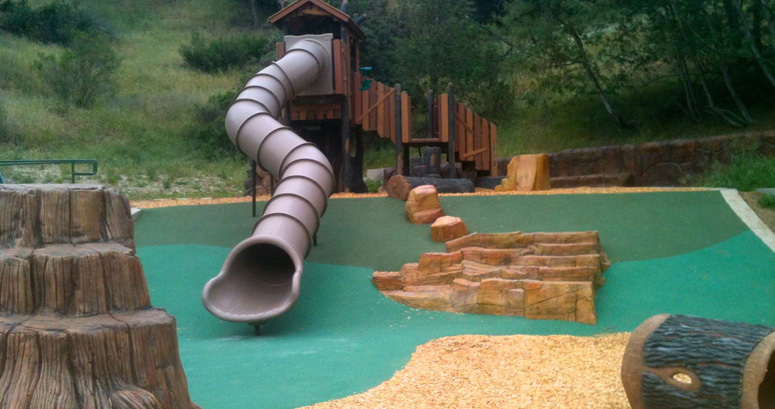 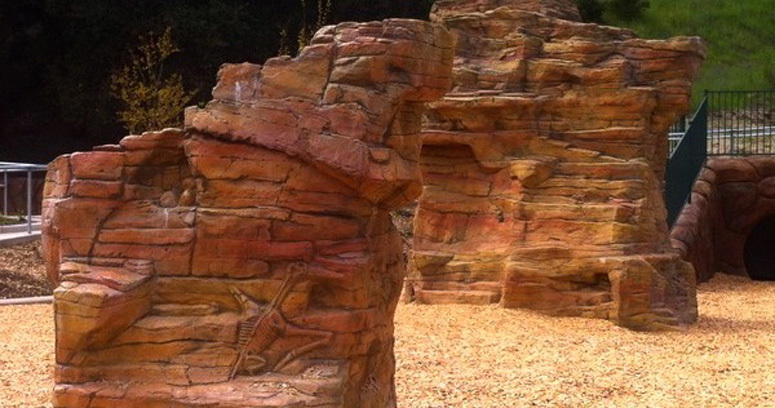 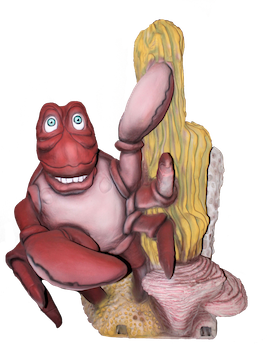 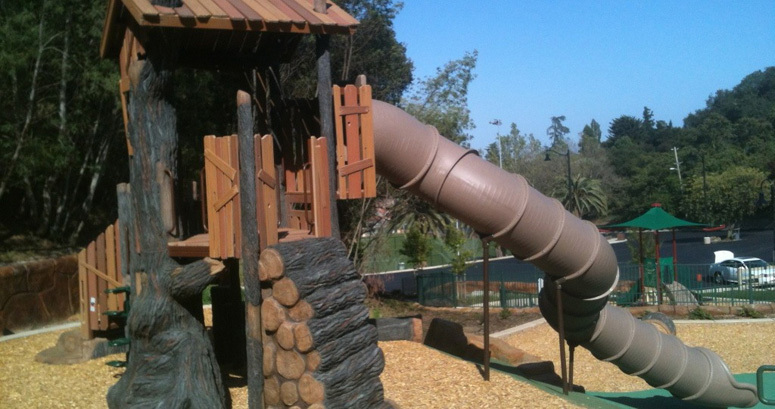 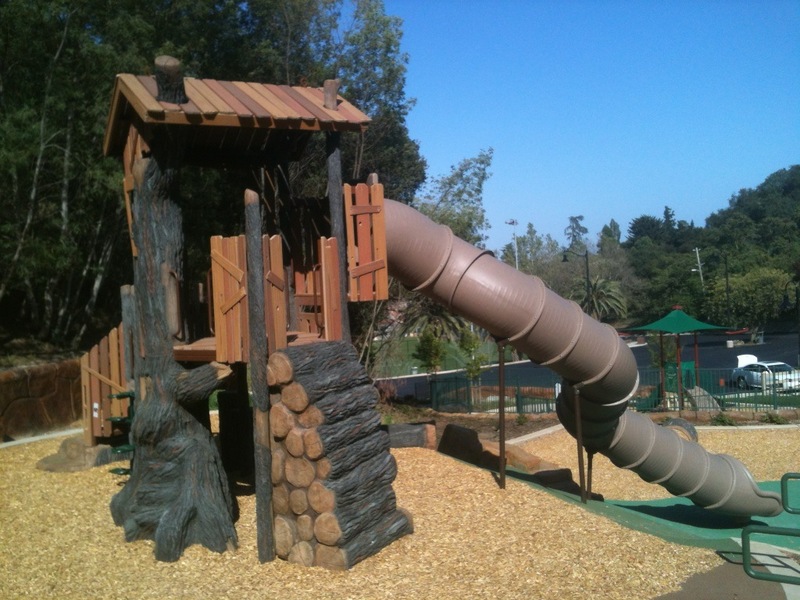 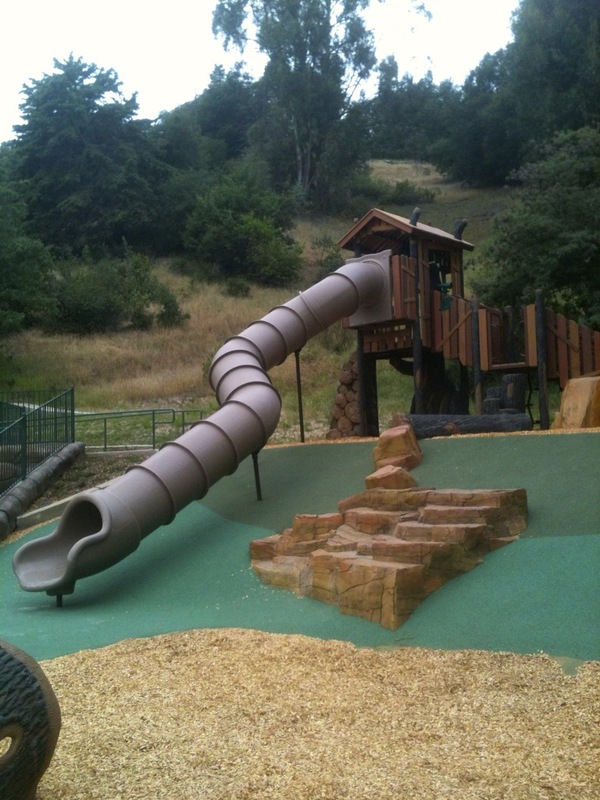 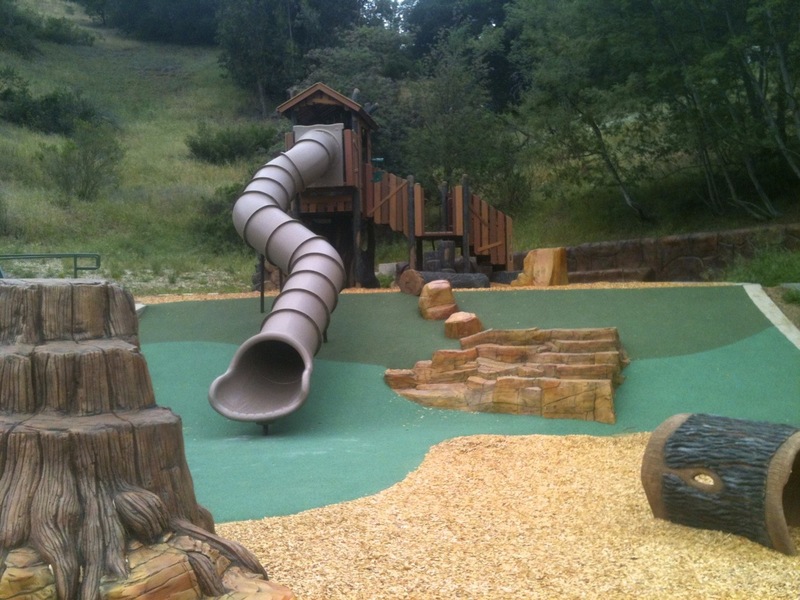 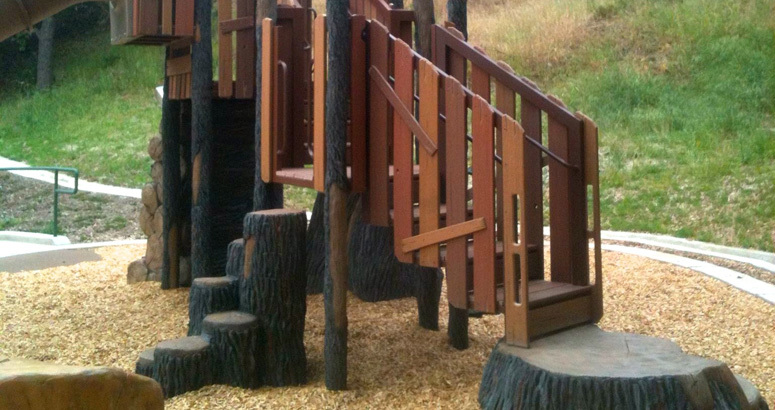 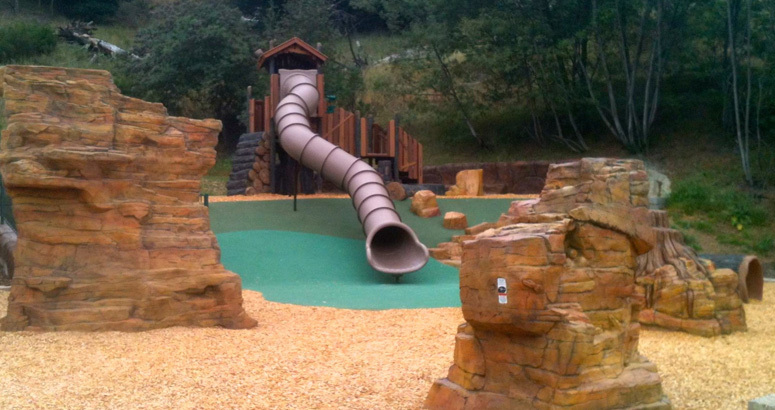 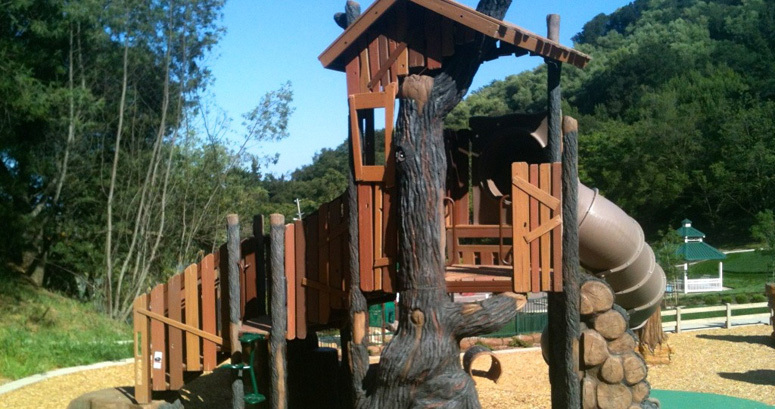 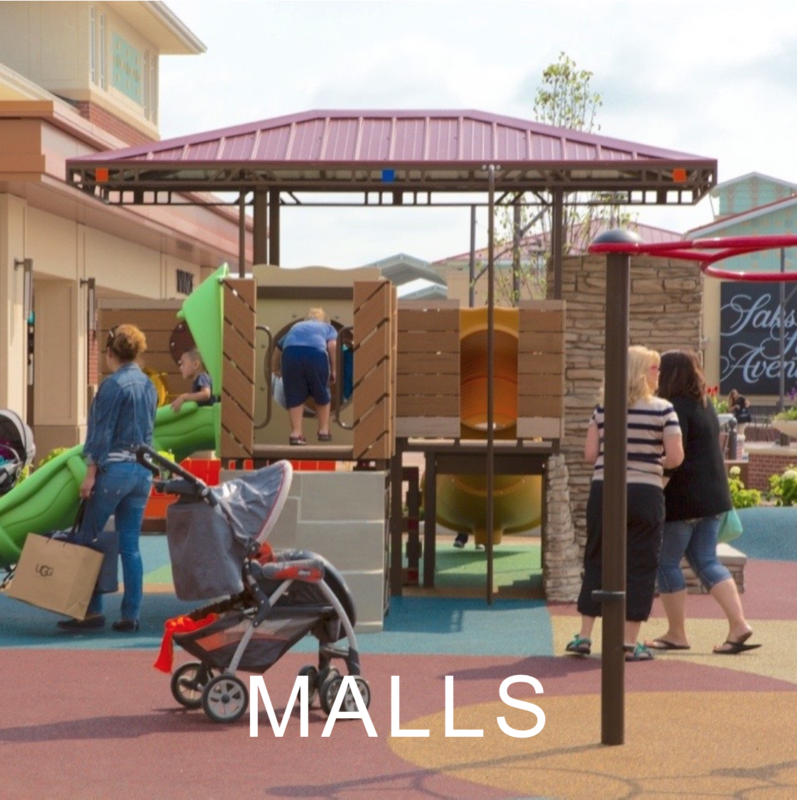 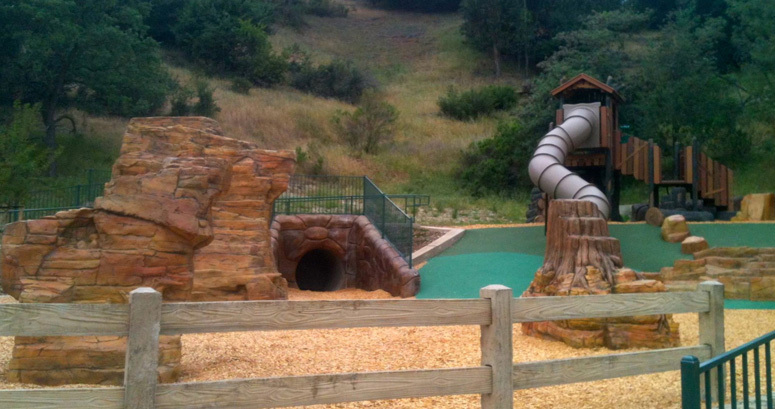 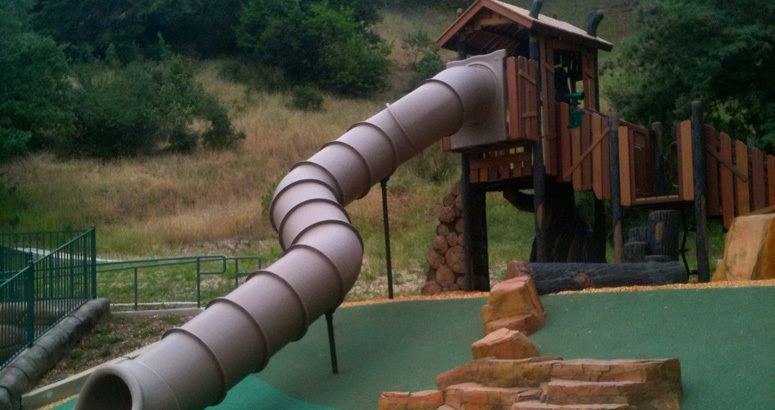 Cre8Play creates whole environments and also offers individual products to compliment existing playgrounds!